Time to face it, people. Pigeons have you beat. 1. First, let's start with the basics. 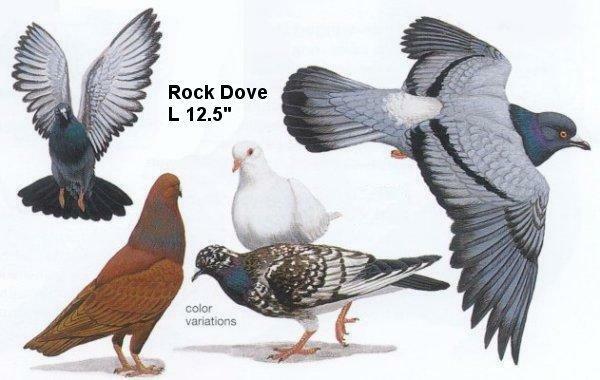 Pigeons are known as Rock Doves or Rock Pigeons by the bird experts of the world. 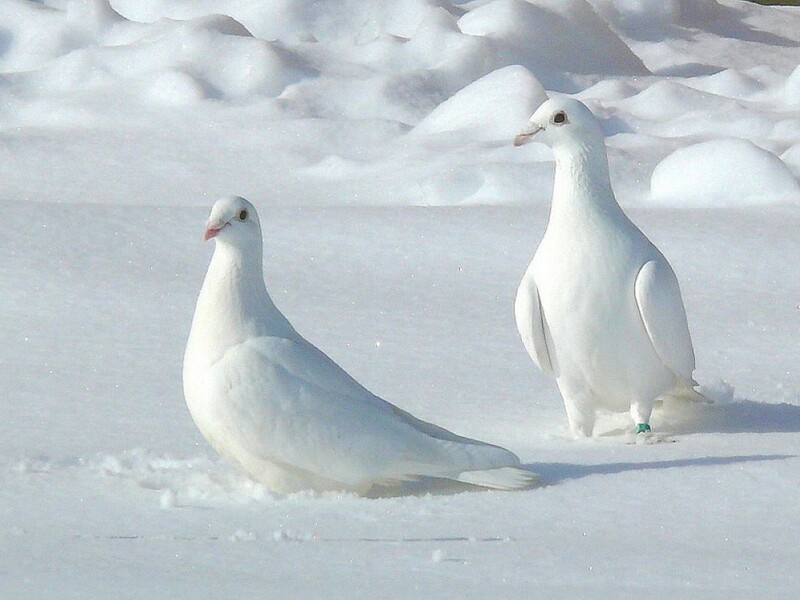 And yes, those white doves you see? Those are in the pigeon family too! Some refer to them as Feral Pigeons. 2. Also? Pigeons have the amazing ability to return to their homes even when displaced thousands of miles away in a location they'd never seen before. Many people race pigeons, setting them off at a location then timing their return. Show me a human that can do THAT. You cannot. 3. In 1997 tens of thousands of pigeons were lost when racing from France to England. Theorists have concluded that the reason for their becoming lost was a Concorde supersonic airliner traveling over the race's path, throwing them off the course. 4. Why's that, you ask? Well, scientists believe that the pigeons were thrown off by the low frequency sounds created by the plane. Some believe that pigeons navigate by listening to the ever-so-distant sound of the ocean in order to find their way home! Shh, listen as hard as you can. Can you hear the ocean? Chances are, if you're not at the beach, your answer is no. If this theory is correct, pigeons can hear from coastline to coastline! Pigeons also have a compass-like ability to find North. This comes in handy when traveling as well, though directional knowledge does not always translate to navigational ability, as the 1997 race proved. 5. And while you may not think it is now, pigeon guano was once considered a rare and glorious item. In the 16th, 17th, and 18th centuries, pigeon poop was considered the best fertilizer around. Armed guards were even paid to guard them from poo thieves! 6. Oh, and also? Many pigeons throughout history have played their parts in human wars because of their ability to return to their place of origin. 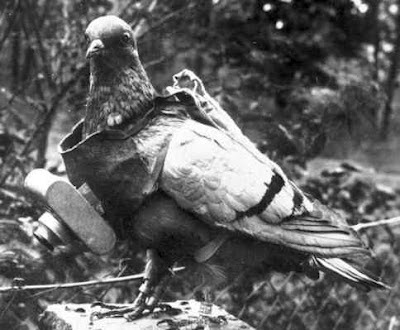 In both of the world wars pigeons were used to maintain contact with sympathizers. 7. One heroic pigeon goes by the name of Cher Ami. She saved the American 77th Infantry Division that was trapped behind German hills in World War I by delivering the message to their allies informing them of the group's location. 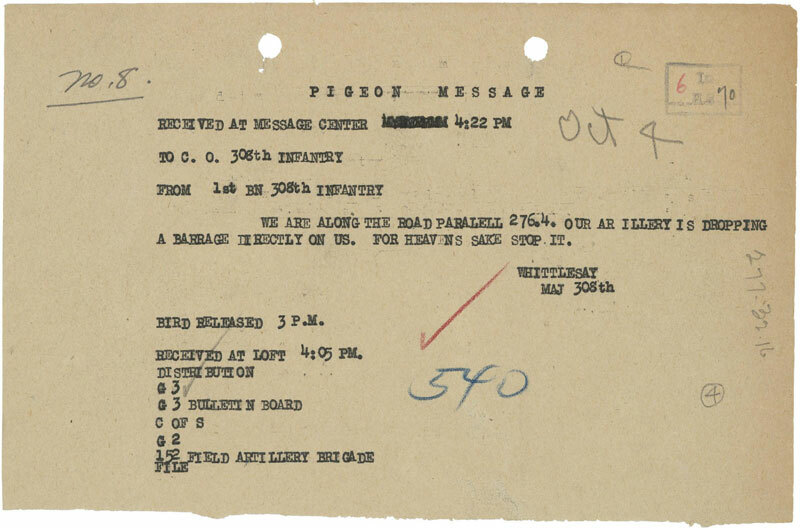 Cher Ami saved 194 lives by delivering this message. "We are along the road apralell 276.4. Our ar[t]illery is dropping a barrage directly on us. For heavens sake stop it." Cher Ami was shot in the chest, lost a leg, and never fully recovered from the wounds incurred from her heroic act. But she died a hero, receiving the French "Croix de Guerre" medal with a palm Oak Leaf Cluster. She is now enshrined at the Smithsonian. 8. Even in times of peace, pigeons were used as messengers. In as early as the 5th century BC, pigeons were used in a huge system of communication in the Syrian/Persian region. Romans used them too, especially for reporting sporting event results. According to the Urban Wildlife Society, "Recent evidence shows that the Egyptians domesticated pigeons 12,000 years ago, some 7,000 years earlier than was previously thought." 9. Pigeons have helped notable institutions get their start. 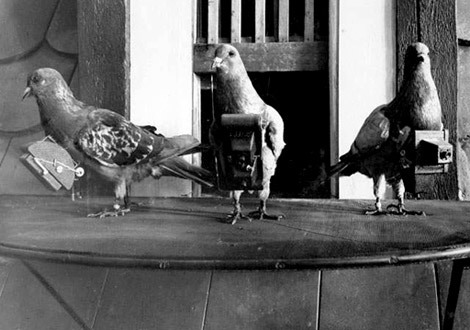 Reuters started off using homing pigeons when the company was founded in 1850 because they could deliver information in half the time the man-made train could. The Rothschild family also got its start with pigeons, owning a series of pigeon lofts throughout Europe that facilitated the communication of info between their financial houses. That's how their empire began! 10. Pigeons are also really good at relationships. Unless the couple gets separated, they usually mate for life. I mean, occasionally they have some extramarital affairs, but for the most part, they stick together. Better track record than human divorces, that's for sure! 11. 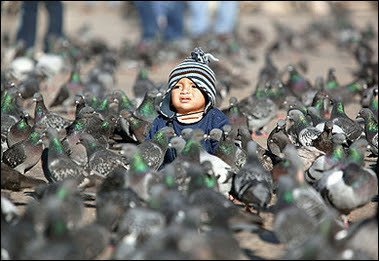 Also, ever notice how you never see baby pigeons around? That's because they spend up to TWO MONTHS in the nest! That's way longer than the average baby birds which stay for only 2 to 3 weeks. And it's too bad we never see them because THEY'RE SO CUTE. Way cuter than human babies, and their slow coming-of-age is way more endearing than the average twenty-something living in their parents' basement. 12. 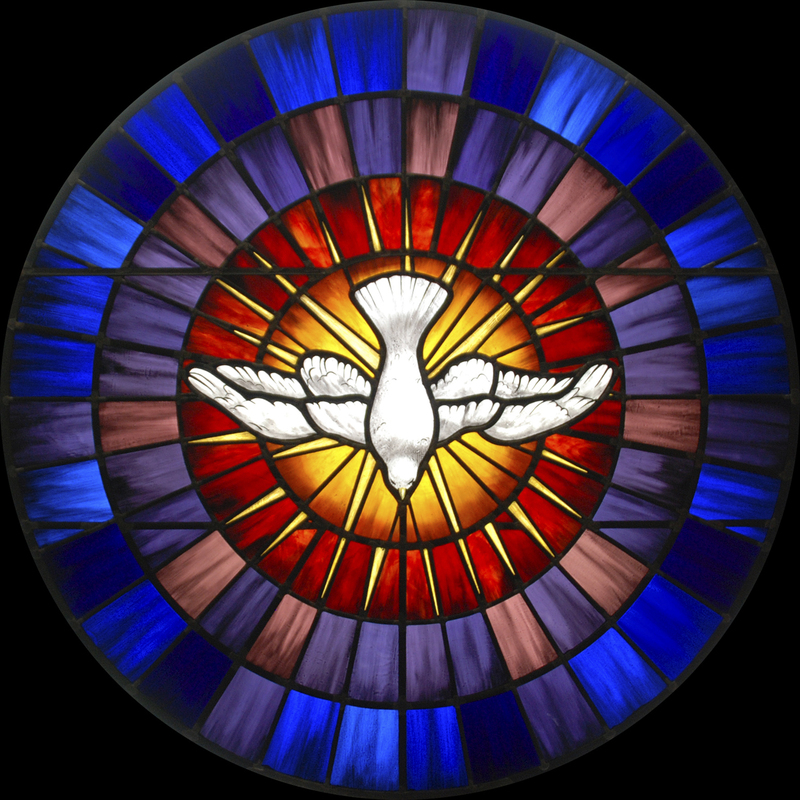 Pigeons are symbolic in several religions. They represent peace in Christianity, and the ceremony of feeding pigeons is a part of Islam, Hinduism, and Sikhism (among other religions). They're kind of a big deal. 14. Pigeons can understand abstract concepts, and even recognize the twenty six letters of the English alphabet. As scientists were teaching them stuff, they realized that the birds make the same kinds of mistakes that human kids do when first being taught. In the words of the Urban Wildlife Society: "Laboratory birds have conceptualized what they were 'requested' to conceptualize. It appears likely that birds in nature conceptualize everything that matters to them." 15. Also notable: pigeons are so smart that they pass the "mirror test" meaning that they recognize themselves in the mirror. They're one of only six species on the planet that can do that, and the only known non-mammal in the bunch. Who's the bird brain now? 16. So basically, unless your kid has some special homing abilities, has helped found institutions, is a religious symbol, AND is smart, the average pigeon is superior to your child in just about every way. Oh, and don't forget their poop is valuable. That's more than the average kiddo can claim, amirite? 17. But don't feel too bad. Unless the pigeons take over the world with their obviously superior capabilities, we can coexist beautifully and peacefully forevermore.